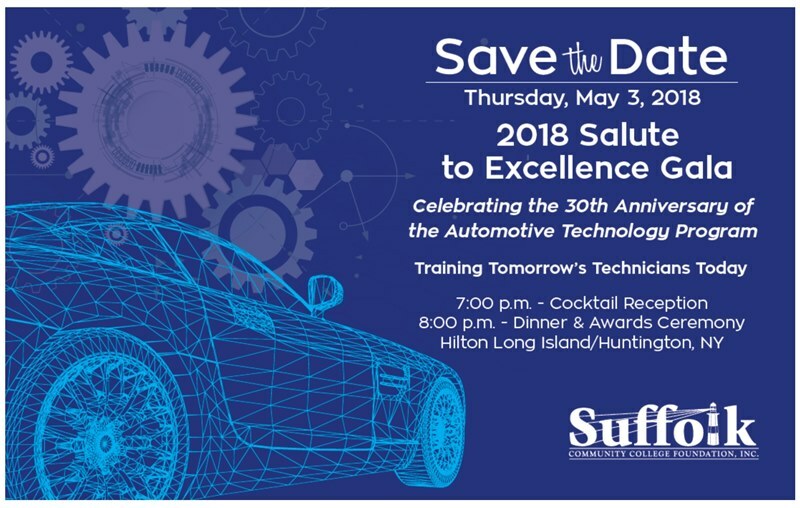 The Suffolk Community College Foundation’s mission is to support student access to quality education and vocational skill training by providing scholarships, emergency loans and funding for program development. Additionally, the Foundation seeks to engage alumni to maintain their connection to the college, to support foundation events, philanthropy, student mentorship and internship opportunities. 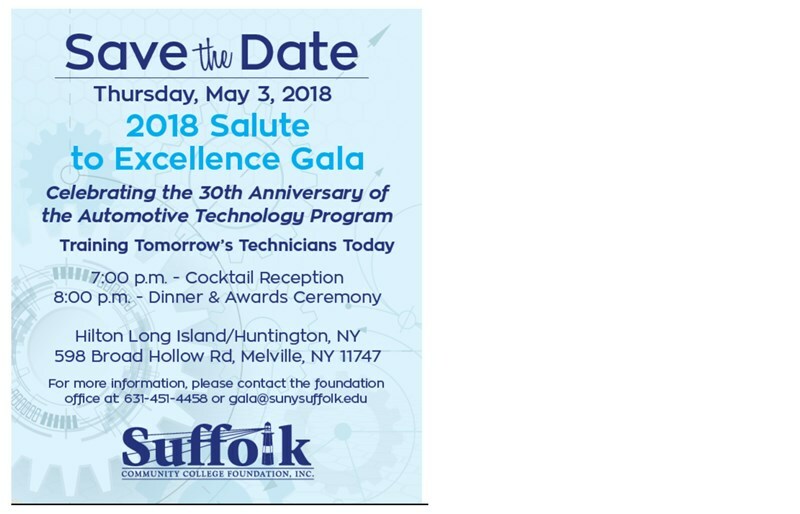 Posted on January 25, 2018, in Events and tagged "Salute to Excellence Gala", #Comm_College, #SCCCAlumni, #SUNYSFLK, Alumni, Alumni Association, Automotive Technology, Awards, Community, Fundraiser, fundraising, Hilton, Long Island, Melville, Networking, Philanthropy, State University of New York, Suffolk County Community College, workforce development. Bookmark the permalink. Leave a comment.